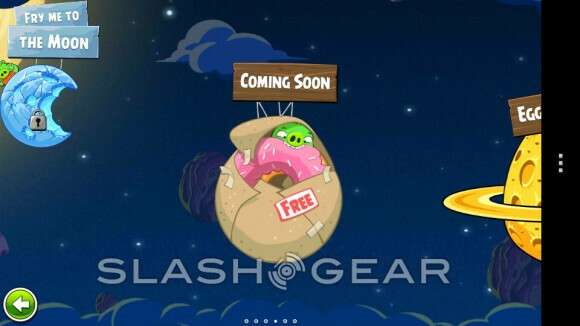 Will we see a Simpsons themed Angry Birds Space expansion? If you haven’t heard, an update was made recently to Angry Birds Space for several platforms, which brings along 10 new exciting levels to the fray. Interestingly enough, there’s also a teaser stuffed into it that hints to the possibility of a Simpsons expansion – yes, the lovable cartoon TV family on FOX. As you can tell from the screen shot below, we can find the distinguishable sprinkled pink donut from the Simpsons being feasted upon by a piggy. 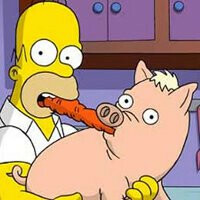 Therefore, it alludes to some kind of Simpsons-themed expansion, however, it’s still up in the air as to whether or not it’ll feature some of the familiar family members – or the infamous spider pig/harry plopper from the Simpsons Movies. Ultimately, we’re curious to know how it’ll all pan out, but either way, we can expect something truly memorable in many ways. Heck, they can somehow throw in Homer into the mix as well, since you know, he’s also known as Angry Dad. AHHHHHHHHH!!!!! Enough Angry Birds already!! !